As our Historic Bus Tours for 2012 have been completed we’ve made our final donation to charity. During the year, with the generous help of our passengers, we first gave £40.00 to St Mary’s Hospice in Birmingham, who were our chosen charity for our original 11-11-11 Tour. This was from collections during our Outer Circle Tour in April. Then in June, when we went on our tour of the Cotswolds, which included a visit to Broadway and a ride on the Gloucestershire & Warwickshire Steam Railway we donated £45.00 to the fund to help rebuild Broadway Station, which was demolished when the railway was closed in 1976. Then in September we ran two more Outer Circle Tours and really upped our charitable giving with the help of our passengers who bought tickets from the conductor and paid princely sums to ride in the coveted front seats upstairs. The special map that we gave out during the tours featured photographs of Birmingham taken by DJ Norton who sadly died from an asthma attack in 1965. Our charitable donation from these tours went to Asthma UK and totaled £115.00. 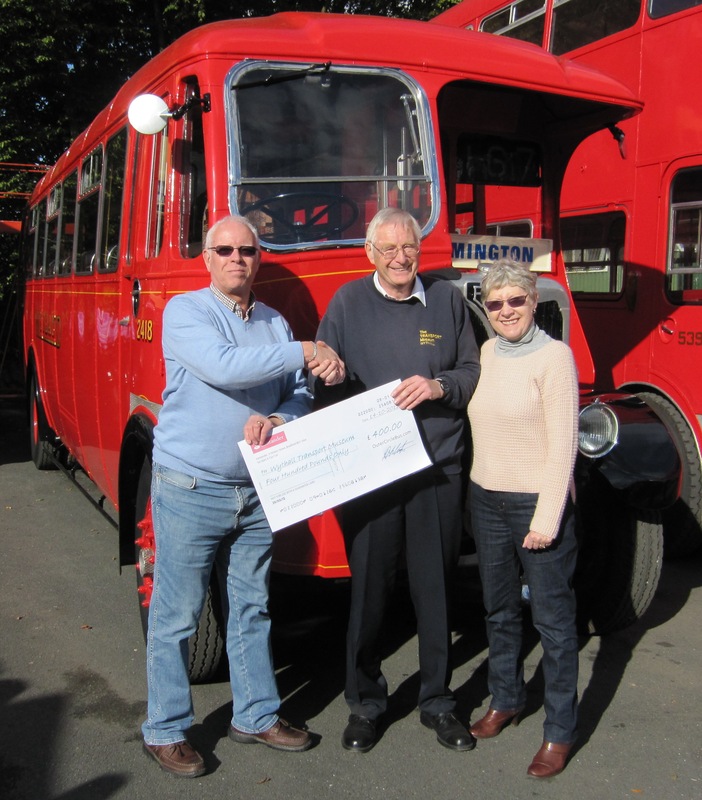 Finally from all our tours in 2012 we were able to donate £400.00 to the Wythall Transport Museum which is an educational charity and provides the buses that we use for our tours. As an aside, and as a treat for anyone who has an interest in steam trains, here is a little story about the weekend of the 13th/14th October. Historic Tour organiser David had a significant birthday on the 15th and as a treat Pam booked for them to go on the non-stop steam hauled train from Moor Street to Marylebone behind GWR Castle 5043 Earl of Mount Edgecombe on the Saturday. However the excursion was cancelled due to a fault with the water carrier that would have enabled the run to be non-stop. As compensation, here is a video taken in April when 5043 is hauling the Cornishman which started the day in Birmingham, with the steam leg from Bristol to Plymouth and return. The first clip is taken on the ascent to Whiteball, at Beam Bridge. The second clip is on the climb to Rattery at Tigley. The third clip is on the return at Hemerdon. Click HERE and enjoy. In the meantime keep coming back here to see what we are planning for 2013, and we hope to see you next year!!!!! This entry was posted in Cotswold Bus Trips, Historic Bus Tours, Outer Circle Bus Trips, Steam Railway, Uncategorized, Vintage Bus trips in 2012, Wythall Transport Museum and tagged 11-11-11, 1950s Birmingham Corporation Double-Decker, Asthma UK, Birmingham, Birmingham Bus, Birmingham City Transport, Broadway Station Appeal Fund, BRUM, Bus Tour, Charitable Donations, Charity, Cotswold Bus Trip, Great Western Steam Railway, Historic Bus Tour, I want to sit upstairs at the front, Outer Circle, Outer Circle Bus, Photo by DJ Norton, Ride the Outer Circle, St Mary's Hospice, Steam Train, Vintage Bus, Vintage Bus Trip, Wythall Transport Museum. Bookmark the permalink.